ABRAHAM LINCOLN employed numerous Irish when he took over as president in 1860. Some were to play a major role in his life. 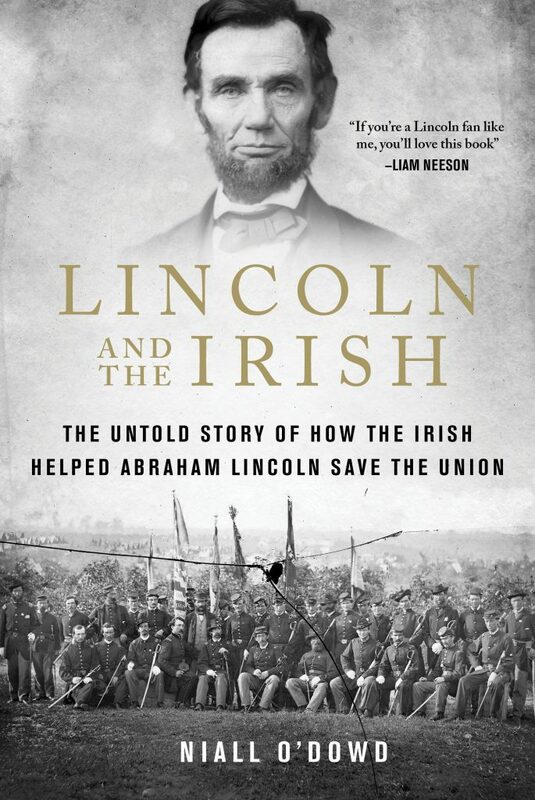 Here is a chapter eight extract from Irish Voice publisher Niall O’Dowd’s new book Lincoln and the Irish: The Untold Story of How the Irish Helped Abraham Lincoln Save the Union. THE election of 1860 was never close, with the pro-slavery vote badly split. Abraham Lincoln took 40 per cent of the vote, with Stephen A. Douglas second at 30 per cent. Douglas was the only candidate to win both a pro and anti-slave state. He won the Irish Catholic vote overwhelmingly, both North and South. Many Irish organisations stood guard during his rallies; there is one description of Ancient Order of Hibernian members forming a protective phalanx around him. As Douglas faded from history (he would die a year later), Lincoln emerged in his full pomp. On his first day in the White House, accompanied by his outgoing predecessor James Buchanan (arguably the worst president in history), they arrived at 1600 Pennsylvania Avenue, where usually the only security was the elderly Irish doorman Edward McManus. Old Edward had served every president since either Jackson or Polk, depending on the historian. “He is as well liked by his seventh president as he was even by General Taylor,” wrote William Stoddard, one of Lincoln’s private secretaries. He was also deeply trusted. Lincoln’s son Tad was what we would today call developmentally disabled. McManus was often entrusted with his care, and they became very close. He was also the keeper of secrets. As Stoddard wrote, only McManus had any idea where Lincoln had headed when he took frequent solitary trips outside the White House. It did not matter who was seeking him, cabinet secretary, congressman, or senator, McManus’s answer was always the same. "He's gone out, gentlemen. He didn't say where he was going, sir. If he's not at Mr. Seward's, it's most likely he has gone to some other place," was how Stoddard described this oft-repeated scene when Lincoln would set out by himself to find a general, a colleague, or a friend on a moment's impulse. The elderly Irishman and fellow Gael Thomas Burns, who guarded the second floor, were it as regards internal security. As historian James Conroy notes, it was a kind of “Mutt and Jeff” arrangement. Lincoln was sure he was safe, believing assassinations were not in the American mindset. The Irish connections Lincoln cultivated upset the blue-nosed clique. Forbes was exceptionally close to the president, who called him Charlie. He accompanied him everywhere, including to the secret peace talks in February 1865 with Confederate leaders at Fort Monroe, when he and Charlie sneaked out of the White House to attend. McManus, Burke, Forbes, Burns, O’Leary, Mangan, McGee, the list went on. Clearly Lincoln was comfortable with Irish around, even though many in his cabinet and party despised them. He was not a hard taskmaster, but kept a distance. Secretary Stoddard wrote, “Towards his immediate subordinates, private secretaries, messengers, and other officials or servants, it may almost be said that he had no manner at all, he took their presence and the performance of their duties so utterly for granted. Even after battle defeats, Lincoln appeared to internalise the strain. Aides spoke of the heavy “tramp tramp” across the bedroom floor over their heads from the residential part of the White House after major defeats like Antietam and Fredericksburg. Back and forth until the early hours, Lincoln would go walking. "They remembered his amazing resilience too, often appearing the next day with virtually no sleep ready to press on with the war. There were certainly a lot of Irish at 1600 Pennsylvania Avenue, the building itself designed by an Irishman, architect James Hoban. Lincoln was also a huge fan of the writing of “Private Miles O’Reilly,” a pseudonym for Irish emigrant Charles Halpine who had achieved officer status in the Union Army. Halpine wrote as Miles to critique those prosecuting the war and attack those leaders not devoted enough to Lincoln. Lincoln would sometimes wake one of his personal secretaries late at night and read gobs of O’Reilly to him as he battled his own insomnia. It was hardly surprising there were so many Irish on the White House staff. Salaries were $800 a year when the average working man was making just $300 and jobs were highly sought after. Oftentimes, Irish were discriminated against when seeking such jobs, but not under Lincoln. President Lincoln was a grand man. Quiet and gentle in every respect, he was always thoughtful of those who served him, and although I was but a youngster in those days and not very long over (from) Ireland, Mr. Lincoln treated me with the same consideration he always bestowed on his regular men. President Lincoln was spending the summer at what is now the Soldiers’ Home grounds, occupying the house of the governor of the home as was then the custom, and it was there I reported to him. I drove him down to the offices that first morning and that evening when we returned, the president asked me to have the horses around again after supper, as he wanted to go out and look at the stars through that big new telescope they had installed at the naval observatory. I drove him out there that night and was also permitted to look through the telescope. The trip to the observatory was about the only long one on which I drove the president. It sounds funny, I know, to talk about that as a long trip this day and time but it was a fairly long distance in those days. Mr. Lincoln was very regular about his habits. He called for his carriage every morning about the same hour, and while I was with him at least, he left for his home every night about the same time. He was greatly interested in his children and they used to come to meet him and ride up to the house with him. The Old Soldiers’ Home was located three miles from the White House on one of the highest points in the topography. Lincoln stayed in a 34 room Gothic cottage there and found the cooler breezes beneficial. He went there every June to November from 1862 to 1864 and wrote much of the Emancipation Proclamation there. One-third of the residents of the main house were Irish soldiers who fought for the Union and were disabled. Immigrants had little or no family structures to take care of them, so they fell back on institutional care. Despite the name of the institution, the average age was only 41; 10 per cent were under 30 years of age. The Old Soldiers’ Home became the forerunner of the veterans’ hospitals movement, where those who fought wars for their country were housed and helped with their lives after the combat stopped. Lincoln spent countless hours among them. He heard the Irish language used extensively and gathered a store of Irish stories. His opinion of the benefits of emigration after contact with the Irish and other foreign soldiers soared. Not all Irish employed by the White House were reputable, however. Cornelius O’Leary was a doorkeeper to the president’s office who replaced Edward McManus. McManus had been fired in the strangest of circumstances by Mrs. Lincoln. Given her own financial problems, it was strongly rumored by an opposition newspaper that she had done so to place O'Leary in the job, where he would solicit bribes for access to the president and share the rewards with her. He was found to have been taking bribes of up to $50 in order to expedite the freedom of Confederate prisoners who could take an amnesty oath not to fight again against the Union. Everybody knows that it is the constant practice of the president to discharge prisoners of war who take the amnesty oath upon proper application being made by the congressmen who represent the districts where their homes are located. This application was made by a Union congressman from Kentucky, and, it now appears, was laid before the President by H.W. Harrington, of Indiana, into whose hands O’Leary gave the paper. “The same result would have been attained if the application had been sent to the president through the hands of his private secretary, but Etheridge (Emerson Etheridge, a congressman from Tennessee who somehow became involved), with his innate love of intrigue, appeared to prefer bribing a servant to accomplish what any man could do in the regular way, and then, having extorted forcibly his bribe from the tempted servant, he rushed his own disgrace and shame into print, as if he had done a very fine thing. O’Leary, of course, was instantly dismissed from service when the president ascertained what had been done; but whatever may be the public verdict in his case no sane man can regard with any degree of tolerance the part which Emerson Etheridge has played in the matter. O’Leary himself was an extraordinary figure and may well have been scapegoated to protect Mrs. Lincoln, who may have inveigled him into the scheme. O’Leary was an adventurer who left Tipperary at an early age. In 1858, he was part of the Irish Papal Brigade, charged with restoring the pope to Rome after the Garibaldi rebellion. He then came to the U.S. and fought in the Civil War, enlisting in the Irish Brigade. He was wounded at Malvern Hill. On his recovery, he was appointed postmaster of Lincoln Hospital in D.C. Then he replaced the legendary McManus as the White House doorkeeper and found himself in hot water over the pardons scheme after Lincoln himself personally looked into the issue. O’Leary was a Fenian and was asked to go back and help organise units for the abortive rebellion that happened in 1867. En route, he was captured and jailed by the British but was later released on the understanding that he would return to America. He did and resettled in Brooklyn, and he still has direct descendants in the New York area. 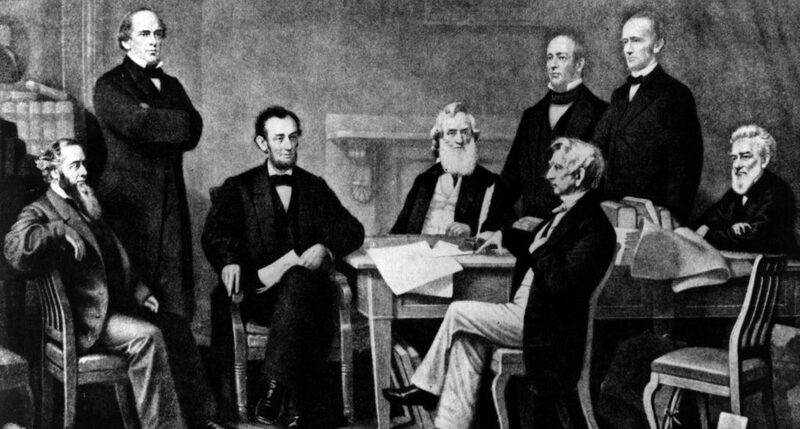 But the Lincolns had not heard the last of “Old Edward.” After Mrs. Lincoln fired McManus, according to historian Stephen B. Oates, “she and Lincoln had an ugly scene. In her misery, Mary told one of her male friends about the quarrel, but later wrote the man to keep it a ‘sacredly guarded’ secret that she’d talked with him about her marital troubles. McManus did not go quietly. He moved to New York, where he told stories about financial improprieties by Mrs. Lincoln and some say even alleged affairs. One of his key listeners was the influential newspaper editor Thurlow Weed, who widely publicised the allegations, which impacted Mrs. Lincoln’s historical reputation. Mary Todd Lincoln was furious. She wrote to a New York acquaintance that she could scarcely believe that people were taking McManus’s allegations seriously. She described him as a “discarded menial” and suggested he was out of his mind. Clearly McManus knew too much for her liking. Her temper and frequent demands, however, led even Lincoln’s loyal secretary John Hay to call her "The Hellcat." Once, when Lincoln was reviewing the Army of the Potomac, Mary arrived late and found Major General O.C. Ord’s wife riding alongside the president.